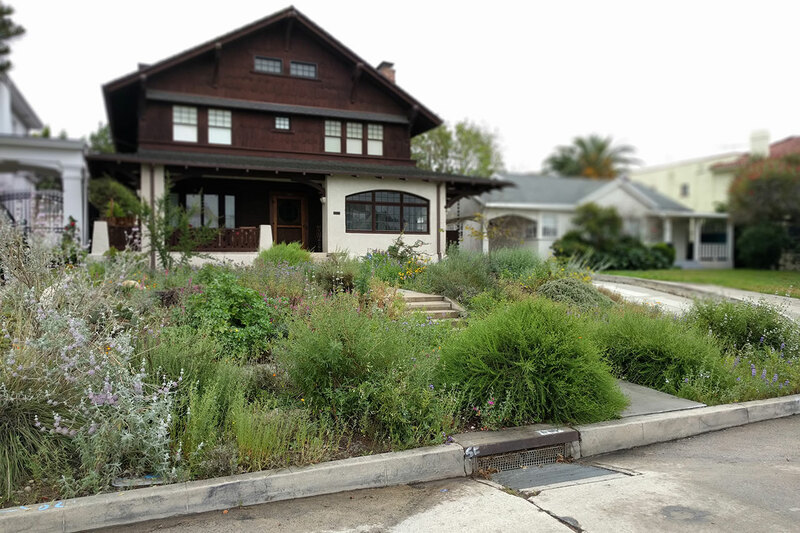 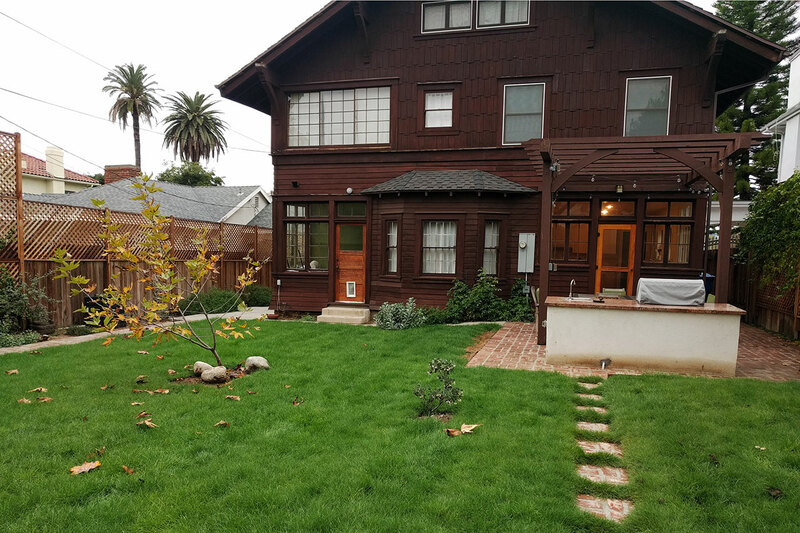 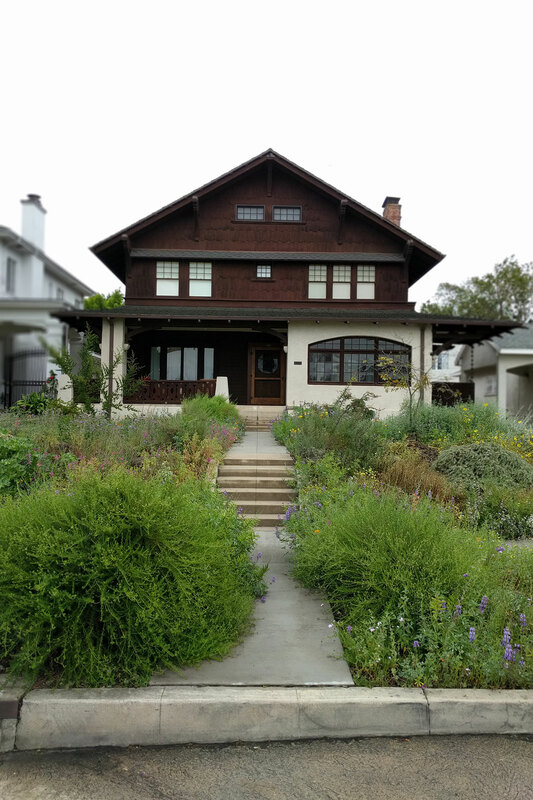 The atypical garden of this restored 1911 Craftsman home includes a hard-grown front yard that receives no supplemental irrigation. 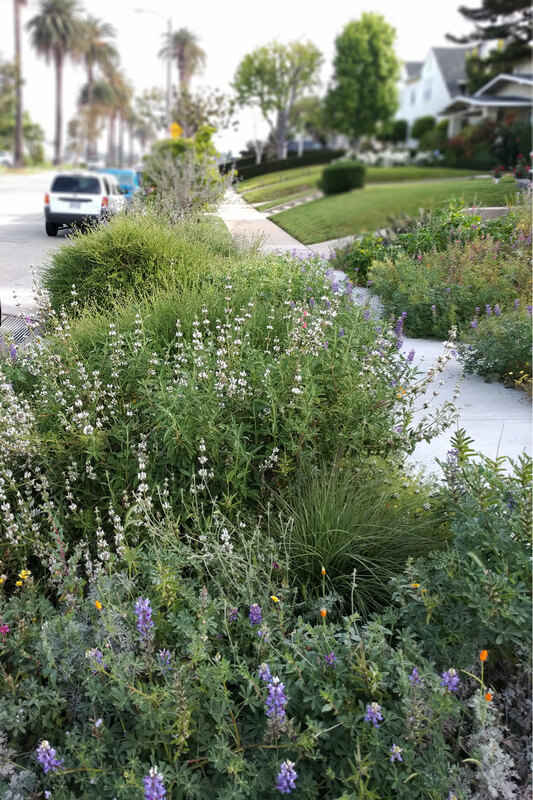 Planted in 2010, the homeowner chose perennial sages and buckwheats to anchor a spring wildflower display. 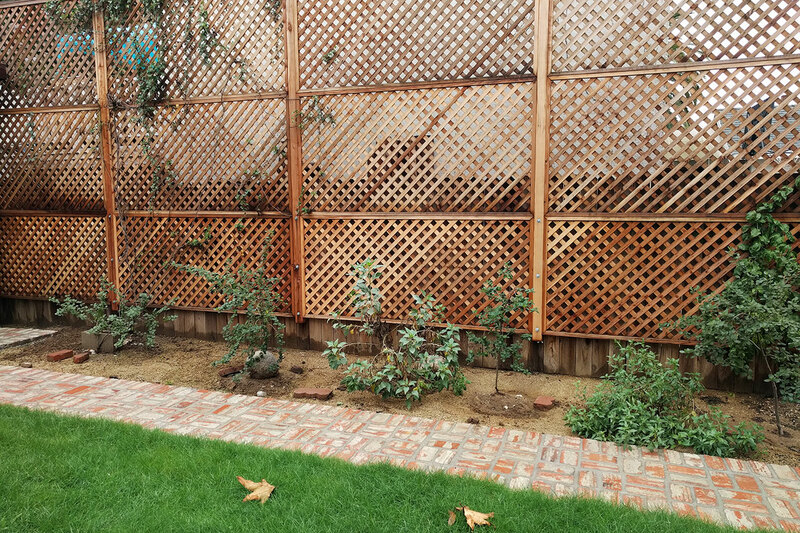 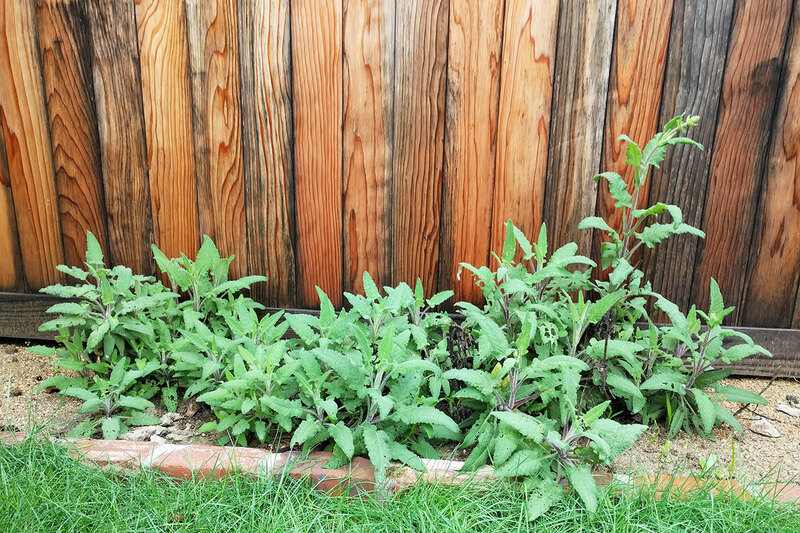 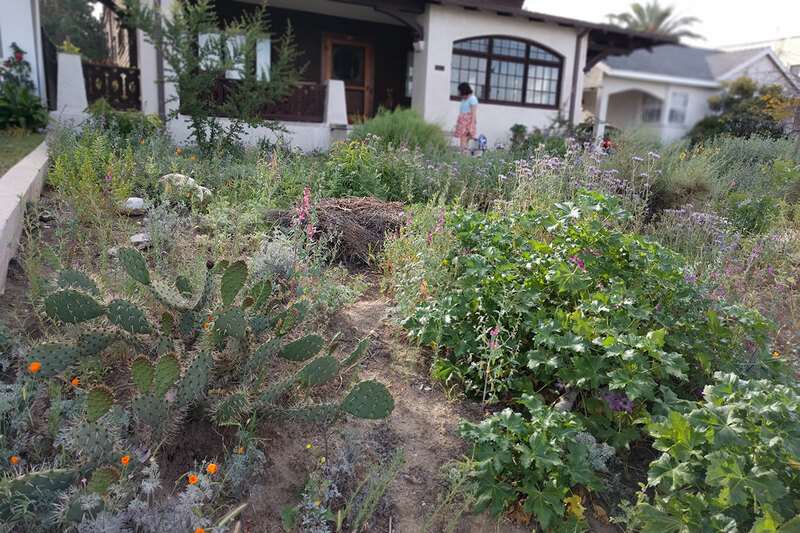 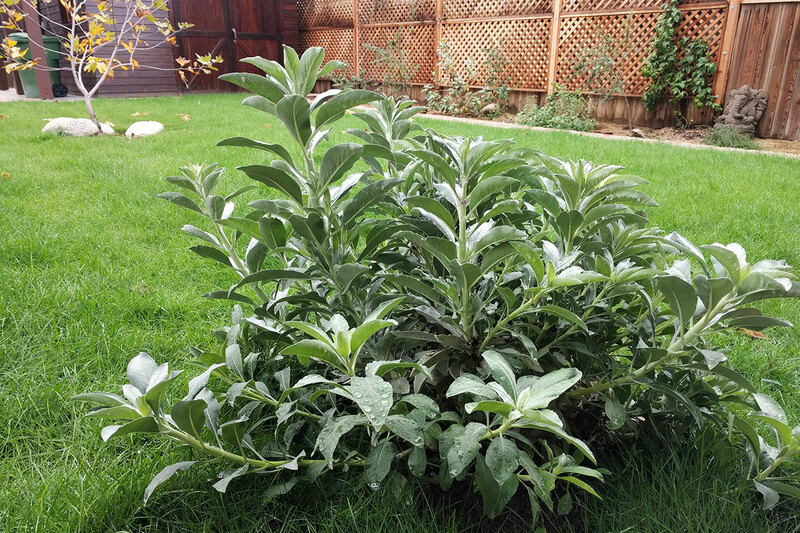 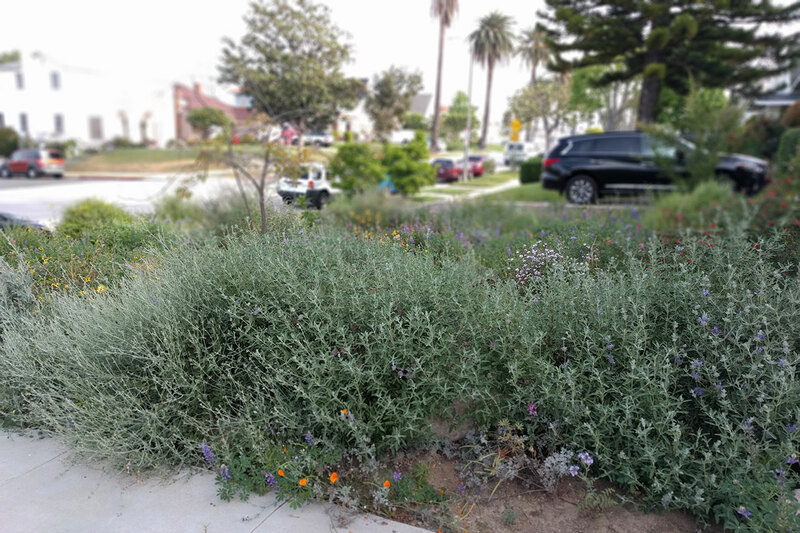 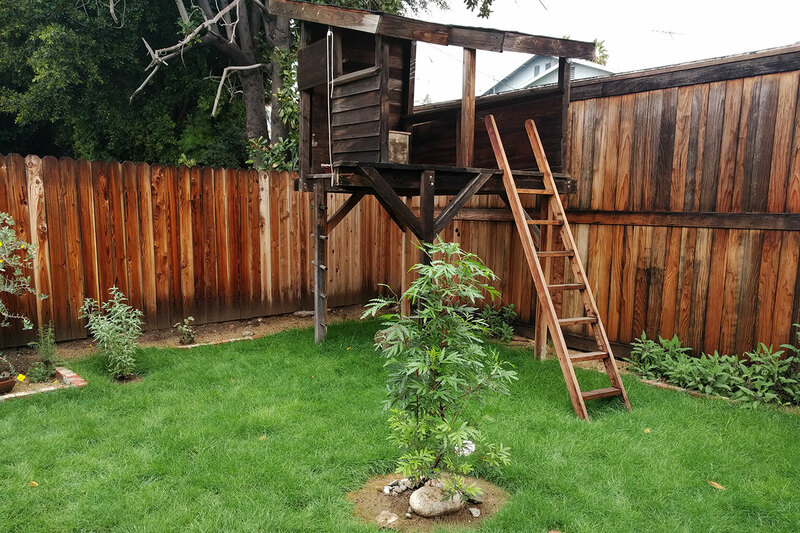 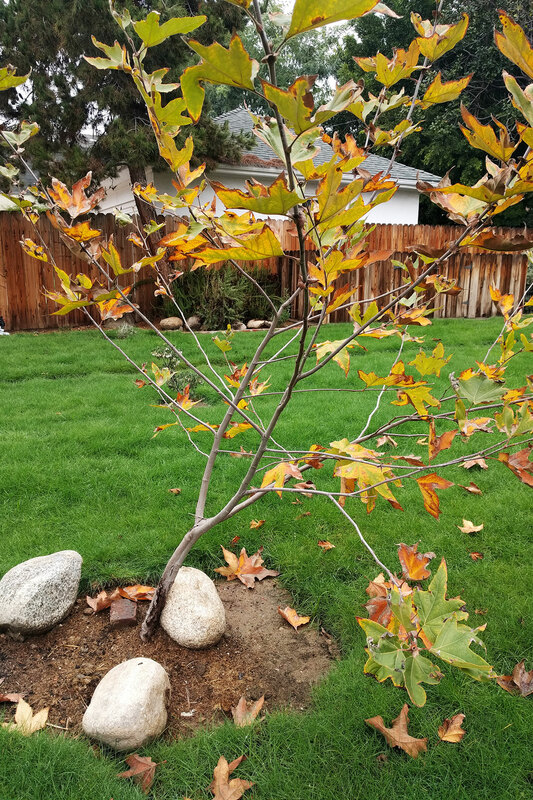 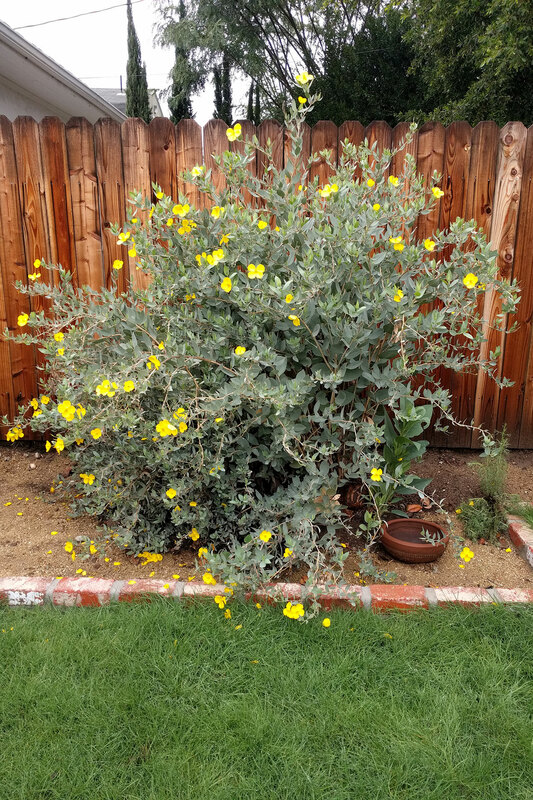 The recently redone backyard is more formal in style, with a native lawn, perimeter of flowering perennials and shrubs (including a lush Channel Island bush poppy), and a young sycamore that promises future shade.